His first novel ’Redemption of the Sorcerer’ was recently released. Since then he has written several more novels including the sword and sorcery epic ‘Torahg the Warrior’ for Pro Se Press as well as the forthcoming Sci-Fi adventure novel ‘The Cagliostro Chronicles’ amongst others. 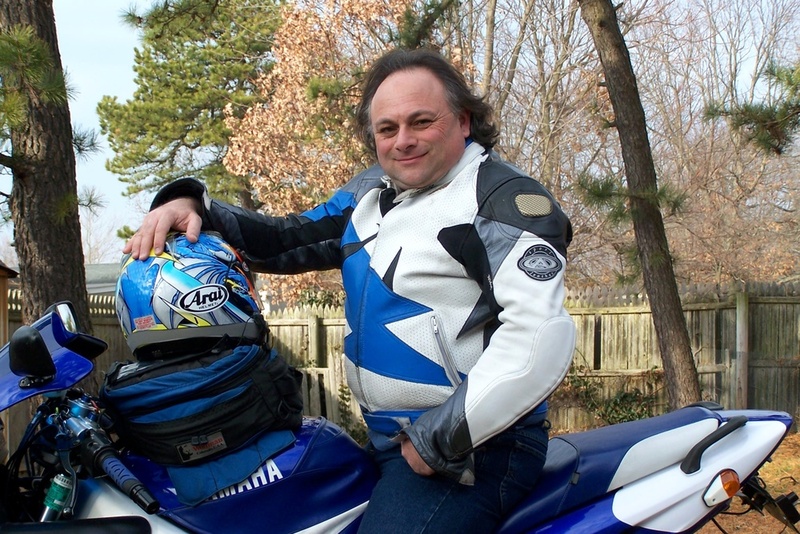 Ralph is an avid author, his hobbies include guitar playing, motorcycling and skiing. Ralph lives with his family in suburban Long Island, NY, but is always plotting an escape to a twisty road somewhere in the mountains. From Pro Se Productions comes the first chapter in a Sword and Sorcery Epic saga of Betrayal and Battle, of Blood and Death, of Redemption and Revenge. From Author Ralph L. Angelo Jr. comes TORAHG THE WARRIOR: SWORD OF VENGEANCE! A Prince Predestined- An honored prince stands first in line for the throne of his father, the most powerful King in the world. Young and unaware that the world around him, his very birthright, is about to be snatched from him by murder! A Brother Betrayed- In one fateful day, his own brother, in league with a malevolent sorcerer, kills the king. And the Prince, the heir to the kingdom, became a wanted fugitive. Forced to abandon his kingdom, to leave his home, to exile himself seemingly forever. A Warrior Born- Twenty years have passed and he returns, no longer the kind hearted youth who watched his father's murder before his very eyes. He walks with the confidence and scars of a hardened warrior, a veteran of many campaigns and trained fighter in many forms of combat. With a heart hardened by twenty years as an outlaw across the world, Destiny calls again, driving him to return to the land of his birth! No longer the Heir to the Throne usurped by his evil brother, he is instead a man with only one mission- Vengeance! A Young fugitive prince fled the land. Now he returns and he will be forever remembered as TORAHG THE WARRIOR: SWORD OF VENGEANCE! From Pulp Fantasy Author Ralph L. Angelo, Jr. comes the first novel of a New Pulp character with classic roots! Fight alongside this battle scarred, blood hungry Warrior as he tackles evil in all its forms across the kingdom he once called home! A man without a land and with only one purpose- To Avenge the Wrongs done against Him and the world! 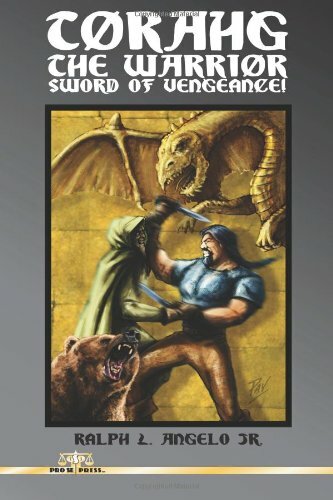 In the tradition of Robert E. Howard, Angelo breathes a savage, raw life into SWORD OF VENGEANCE, bringing Pulp Fantasy back to life with a barbaric results! Pro Se Productions and Author Ralph L. Angelo, Jr. Present- TORAHG THE WARRIOR: SWORD OF VENGEANCE! Pro Se Presents, the multiple award winning magazine, debuts in its larger quarterly format with PRO SE PRESENTS #19! 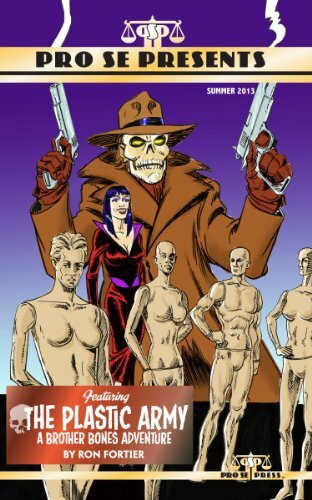 Featuring a new BROTHER BONES tale from New Pulp Veteran Author Ron Fortier, this action packed issue also includes stories from Kevin Rodgers, Jilly Paddock, Charis Taylor, and Ron Capshaw! Aaron Smith's hockey star turned detective Marcel Picard makes his return in PSP 19 alongside the magazine debut of Ralph L. Angelo, Jr.'s Torahg the Warrior (Recently debuting in his own novel from Pro Se)! The magazine also includes its share of mystery with the second adventure of Joan the Dog Detective by A. M. Paulson and an intriguing essay from Robert Kingett entitled THE DEATH OF SHERLOCK HOLMES- A DATED UPRISING! Wrapped in an eerily excellent Brother Bones cover by Rob Davis, Pro Se Presents #19 has enough mystery, fantasy, horror, and more to keep any Pulp fan happy! Like Bullets from a Tommy Gun, Pro Se Productions delivers Pulp like no one else in Rat-A-Tat: Short Blasts of Pulp! Today’s best Genre Fiction authors pull their fedoras down tight, charge their laser blasters, and barrel full speed ahead into Rat-A-Tat. 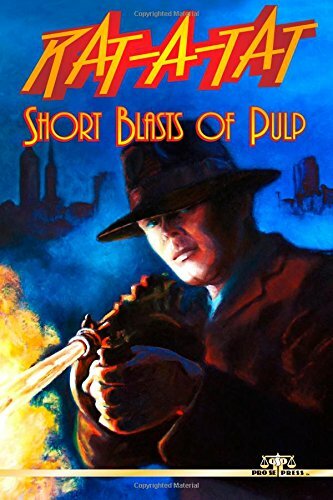 This two fisted collection features short short fiction designed to illicit the same emotions, the same edge of the seat thrill, the same action and adventure as classic Pulp stories and New Pulp novels. Thrill to Pulp delivered in quick, sharp blasts from a rogues’ gallery of authors! Rat-A-Tat: Short Blasts of Pulp from Pro Se Productions. The Musketeers-Men That Lived and Died and Legends in their own time. But some fought valiantly and never received the notice Alexandre Dumas and others have brought to their brothers. Many wore a different mantle, posing as a special guard, when in fact their lives…their very souls…were dedicated to a different battle, waging a war against the supernatural and evil from beyond. 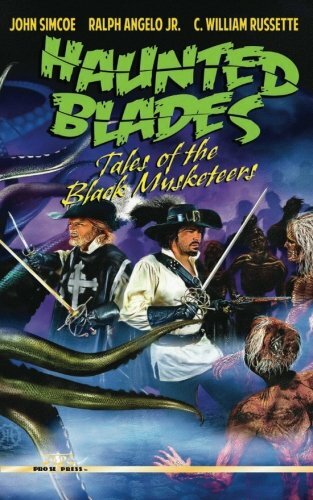 HAUNTED BLADES: TALES OF THE BLACK MUSKETEERS pulls back the bloody curtain on a secret organization within the most well-known fighting force of rogues and warriors known to history. Enemies beyond human ken demand a different sort of man to confront them. Men willing to never be known for their work. Men prepared to die and be forgotten so evil will not triumph. These men are remembered in HAUNTED BLADES: TALES OF THE BLACK MUSKETEERS. From Pro Se Productions. SEE WHAT READERS ARE SAYING ABOUT RALPH L. ANGELO, JR'S WORK WITH PRO SE PRODUCTIONS! I just finished reading this last night, really enjoyed it. I am a big fan of Sword and Sorcery stories, Conan of course being one of my favorite characters. The author does a great job of giving us the full gambit of stuff. Black magic as well as good and evil sorcerers. Plenty of demons and strange creatures, as well as great battle scenes on both land and water. Everything ties together well, and the characters are all established well and flow together. There is of course the love interest Serina, as well as the evil Caulistra for feminine villain. I won't say more so you can read it for yourself and enjoy it as much as I did. This is a great story that hearkens back to the stories of RE Howard and still manages to come across as original and engaging. Terrific barbarian warrior action, strong characters, larger than life villains and an intense quest for vengeance. Highly recommended for any fan of a great action story. The story flowed well and kept me engaged which is good as I read in the middle of the night at work! The characters were well rounded and none were neglected. I would recommend this book to all readers. A worthy successor to Ralph Angelo Jr's first "fantasy" book. From the first to the final page the book moves at a fast pace and characters (at least the good ones) are endearing.... The bad ones get all they deserve! !